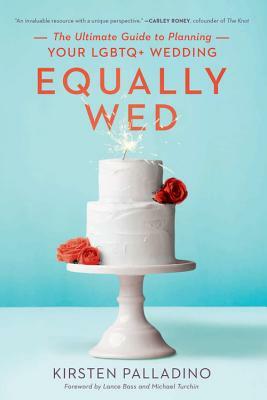 Equally Wed brings author Palladino's expertise as the founder and editorial director of the world's leading online resource for LGBTQ wedding planning to the page. Palladino walks readers through every step of the notoriously costly and arduous planning process with wisdom and accessibility. From how to incorporate hot trends among LGBTQ couples to advice on how to incorporate children into a ceremony to more serious hurdles like dealing with homophobia among family members, Equally Wed has it all. The author importantly includes an accurate picture of wedding budgets for couples from all backgrounds, and shares her invaluable insider tips for making the most of each vendor; she also addresses fashion advice specific for LGBTQ readers, such as suiting up as a nonbinary nearlywed or attending fittings as a butch lesbian or a transgender woman. And best of all, she does it with the celebratory, joyful approach that all couples deserve. Kirsten Palladino is an award-winning editor and writer. She's the cofounder and editorial director of equallywed.com, the world's leading digital LGBTQ wedding magazine. She blogs about trauma recovery at foragedwellness.com. Palladino has been profiled on CNN and in the New York Times. Her work has appeared in Entrepreneur, ARTNews magazine, Art & Antiques, The Knot, Executive Traveler, the Huffington Post, and more. She was recognized as one of Glamour magazine's Hometown Heroes for 2015.